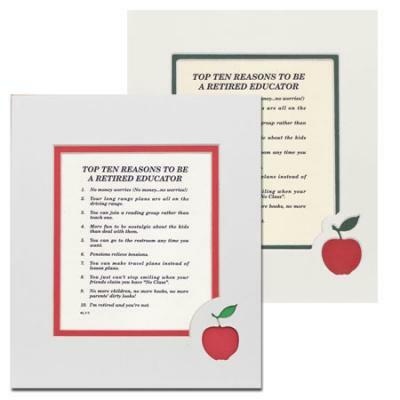 Top Ten Reasons to Become …in an apple die cut mat. Ivory or white mat 8in.X10in. Schoolhouse mat also available. Indicate this at checkout.